Turkish Airlines was founded under supervision of the Ministry of National Defence in 1933 with a fleet of just five aircraft. The airline is Turkey’s national flag carrier with headquarters at Atatürk Airport in Yeşilköy, Bakırköy in Instanbul. Notably Turkish Airlines took Skytrax awards for 2011, 2012 and 2013 for Europe’s Best Airline, Southern Europe’s Best Airline and the World’s Best Premium Economy Class Airline Seat and it maintained the accolade of Best European Airline for 2014 and 2015 holding this title for five consecutive years. The airline was also voted Airline of the Year by Air Transport News at the Air Transport News Awards Ceremony in 2013. 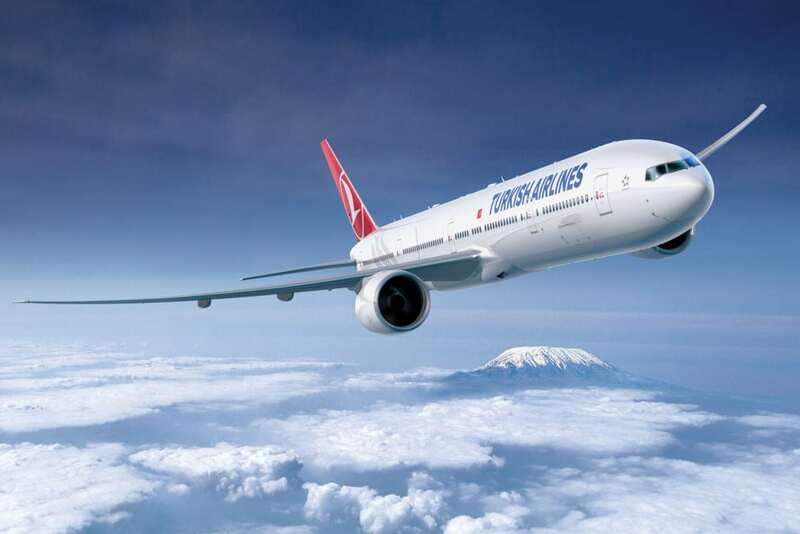 Turkish Airlines is a Star Alliance member with Miles&Smiles as its frequent flyer programme. This is a favourite model of the skies. It has a distinctive wide body and a much larger carrying capacity for passengers giving you that much needed space on your flight. Seats that recline up to 18.5 cm, featuring adjustable head and foot supports guarantee that you will experience comfort of on your flights! Turkish Airlines was awarded the title of Europe’s Best Inflight Catering Service together with SkyTrax award-wining meals ensuring your culinary experience will be remembered. 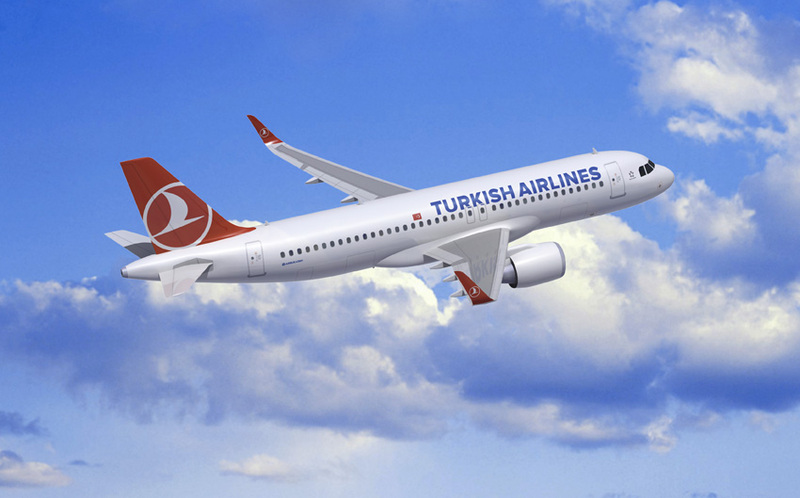 We assure you of some of the best prices for Turkish Airlines flights in South Africa. Having compared more than 10 million Turkish Airways flights during the year we guarantee some of the best Turkish Air prices. Turkish Airlines Cape Town, Turkish Airlines Durban and Turkish Airlines Johannesburg Flights specials. Turkish Airlines fly to more than 200 flight destinations around the world utilising Boeing, Airbus and Embraer 190s with a total of 296 aircraft and a further 164 on order. The airline offers passengers three classes of travel, namely Economy, Comfort and Business Class. 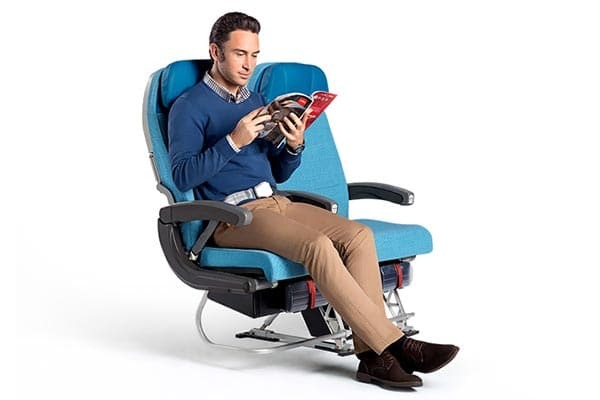 An Economy Class seat has a pitch of 78cm with a 15cm recline and with the seat pan moving forward, affords passengers a total recline of 19cm. Additionally each seat has a flush headrest extendable to a maximum of 5 inches, a personal USB and Ethernet jack including a power receptacle on the foot bar that provides power for laptops and/or electrical devices. For further comfort passengers have an adjustable footrest. These seats are only available the new B777-300 and A330-300 fleets. Available on the brand new B777-300 fleets, Comfort Class seating has a pitch of 116cm and seat width of 49cm with a seat configuration of 2-3-2. Seats recline to 22cm and have adjustable leg rests. Guests enjoy a personal monitor of 27cm with connections suitable to IPods or Ipads and energy supply for laptops and/or other electrical devices. Business Class passengers travelling with the new B777-300 or A330-300 fleets enjoy fully-reclined sleeping comfort of a 188cm long sleeping space along with a reading light, seat function controls such as a massage button and seat position selection including power for electrical devices or laptops with armrests serving as private screens controlled by a touch button. All passengers with ticketed reservations can save time and check-in online within 24 hours up to 90 minutes before their flight departure, print their boarding pass and select their preferred seat. Passengers with only cabin luggage may proceed to the boarding gate while those with luggage can drop it off at a Drop Off point or at the Online Check-in counter. Online check-in desks at the airport close 60 minutes prior to departure. Online check-in is not allowed for passengers under 18 years and group passengers departing from Italy. Alternatively passengers can check-in via their mobile or at an airport check-in kiosk or desk. Baggage – Carry-On Passengers and infants travelling in Comfort or Economy Class may take one item of carry-on baggage weighing no more than 8kg while Business Class allows for two items weighing no more than 8kg each. Items may not exceed dimensions of 55x40x23cm. Considered as cabin baggage are suit covers with dimensions of 114x60x11cm. Personal items such as a purse, bag-type strollers, small camera, tablet/laptop and an umbrella (without a pointed tip) are carried for free. If bag-type strollers are unable to fit under the seat or in the overhead bin they will be carried as cargo. Carry-on baggage that exceeds the stipulated weight or dimensions will incur an excess baggage fee. Liquid containers must be carried in a separate transparent and sealed bag not exceeding 20x20cm with each container having no more than 100ml and must go through security x-ray machines. Passengers should go online to see restricted carry-on liquids including exceptions such as medicines and baby food. Comfort or Economy Class passengers are entitled to 20kg while Business Class guests are allowed 30kg free and infants up to two years can take 10kg plus a collapsible baby carriage not exceeding 115cm. Dependent on where you’re flying to or from, you may be permitted a larger free allowance, so double-check online. Thousands of unaccompanied minors have happily travelled with Turkish Airlines. This service is applicable for minors aged from seven and not having yet turned 12 years of age. The minors flight must receive approval with the necessary Authorisation Form being completed by the parents or legal guardians and they should have the minor at check-in at least two hours prior to take-off. Unattended minors will be seated near to the cabin crew. Pregnant ladies or passengers requiring special assistance are welcome on board the airline provided they meet specified requirements as are guide/service dogs. See further information online or contact the reservations office. Turkish Airlines carries pets provided the correct documentation is provided. Check online for inadmissible pets, rules and carriage conditions. In-flight meals are prepared with the freshest and highest quality ingredients and dependent on departure time, served hot or cold with additional sandwiches and cakes being served on certain long-haul flights. The airline will also cater for any special meals related to dietary or religious needs on international flights. Comfort Class passengers are greeted with a welcome drink and a menu equal to dining in a top restaurant with hot or cold drinks including alcoholic beverages. Travellers flying in Business Class benefit from the airlines Flying Chefs and can expect scrumptious dishes from award-winning menus. When boarding, guests are greeted with a choice of welcome drinks. Introductory to the main course and a Turkish tradition, guests have a superb selection of rich hors do oeuvres to choose from, followed by a delectable soup before their choice of a fine dining main meal completed with a range of fruits, cheeses and sweets for every taste. Enjoy a Turkish coffee or one of many hot or cold beverages. A full bar serves a good selection of cocktails, Turkish and international beers and wines. International flights on A340, A330, B777, B737-800 and B727-800 aircraft have the Planet digital system with individual touch screen for in-flight entertainment offering over 400 films that include the latest releases, a wide range of music covering every genre, a game and childrens channel and an Audio Book channel ensuring passengers are content from take-off to landing. On the website under Online Services, simply click My Bookings where you can check your flight status, view, cancel or re-book your reservation and arrange car hire or a hotel reservation. Office hours are from 9 am until 5 pm daily. Sales hours are from 10 am until 4 pm daily. The Turkish Airlines office is located at OR Tambo International Airport, Terminal A1 Floor, opposite counter number 100. Hours : 9 am until 6pm daily.